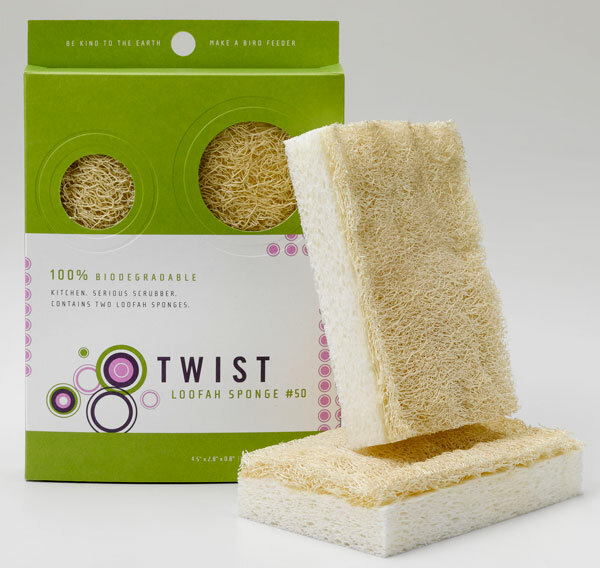 So, regarding the product, they seem good enough, a sponge is a sponge, granted it does look a bit cooler and the loofah addition is interesting… but news to me is that you can dishwash it! But on to the branding and packaging… interesting aspect (beyond the playful graphic design and circular windows)… you can make it into a birdfeeder. Innovative idea (especially enticing for moms who want to let their kids have an activity to do while unpacking the groceries)… not so hot on the execution, the packaging is so thin that it’s not that sturdy, and i do wish the design made better use of the existing creases and the diecut windows… this bird feeder wouldn’t hold up well in a drizzle (how about some water proofed packing?) and isn’t quite strong enough to support the birds. And perhaps a small packet of bird feed would be fun too? 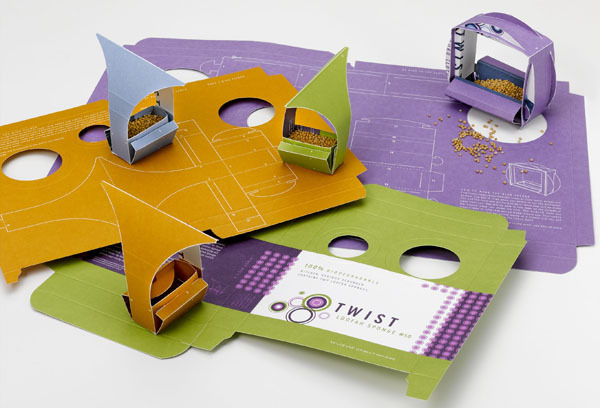 and the design is much like our print+cut toys we often feature. 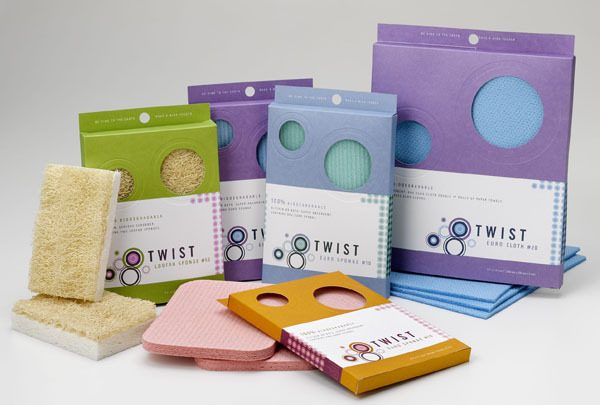 But great concept, fun sponges. Looks like they’re trying to move into Method’s marketshare, right?